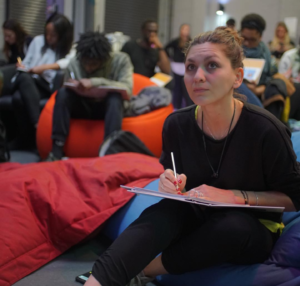 On the first weekend of November, 30 aspiring and established social entrepreneurs gathered at Hackney House in East London for Redbull Amaphiko Connect, London. The same event had previously taken place in Glasgow and Bradford in the month before. Members of the Drivers for Change community were represented at all 3 events. Here Tejal writes up her experience on taking part in the weekend. 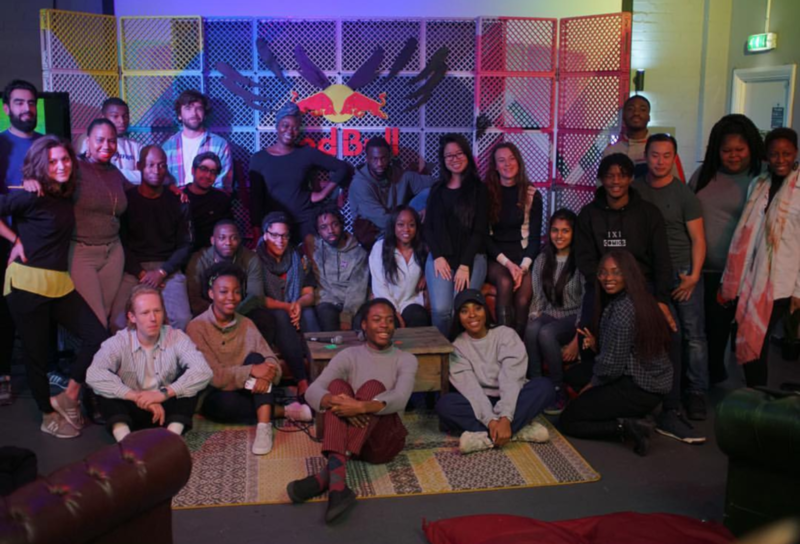 ‘Amaphiko’ – meaning ‘wings’ in Zulu – was very fitting both for Redbull, but also for the sense that we social entrepreneurs were meant to feel from being at the event. After all, being in a room of like-minded changemakers for a whole weekend would surely inspire us to take our social ventures to the next level, or give us ‘wings’. Thus, ‘connect’ was a sure and fitting word too. Our host, the warm and dynamic, Bisi Akins, TV presenter and social entrepreneur, led us from one workshop to the next, energising us with fun activities to bring the group of us together. I was sceptical about how easy it would be to ‘connect’ with a group over less than 48 hrs of knowing each other, but what brought us together quickly was the fact that we were trying to tackle the similar issues and our shared determined to find solutions. Our weekend started with two inspiring talks from Stephen Addison, from Box-Up Crime, and Sade Brown, from Sour Lemons. Both told stories of how they turned their life around and started social enterprises tackling the social issues that affected them in their past and continues to affect others. We were then led by UnLtd in a workshop and Q&A about planning a social enterprise from the legal and financial perspective; learning what legal structure might be best for our businesses, and the implications of each one, how to secure funding and what types of funding might be available. Throughout, we were encouraged to talk about our ideas and discussion. I found this particularly beneficial. Sometimes, as an aspiring entrepreneur, you end up closed off from talking about your ideas. Perhaps you don’t live with people who care to listen, you’re stuck working on it by yourself and work-colleagues aren’t interested. It is only at events like Redbull Amaphiko Connect can you reel off your plan to someone and then be asked, ‘Okay, what are your first steps?’ or ‘Have you thought about how you might fund that?’ or ‘Have you thought about X?’ This opportunity is greatly liberating. I had people saying ‘I am really interested in your story, let’s meet up and discuss ideas.’ All at once, the possibilities are opened up to you about what you can achieve in the next few months of your adventure, all because you were in a space to connect with individuals who were as interested as you are about helping solve specific social issues. The emphasis on connection and telling these stories was a lot stronger on the second day. From writing your pitch as a movie trailer to telling stories concisely and in emails, and engaging with creators to build your brand – there was a lot to learn about the importance and key ways to connect with others. Walking away from a long weekend of full-on learning and discussion, I felt truly exhausted but also fuelled by the possibilities of the plans ahead. There is a lot to be said about building a venture with others, rather than trying to do it alone. The social entrepreneur endeavours to build a business, which by definition is a collective; it needs others to fuel it, and for that, you require a network. That’s why events like Redbull Amaphiko are so valuable. Although it was a lot to pack in to two days and a lot of the in-depth material would take more than a few hours to learn well, the key biggest takeaway for me was the people, the stories that were told, and the inspiration, mentorship and friendships that will help path the way for our enterprises. Thanks to Redbull for running the Connect weekends and thanks to Tejal for writing this blog post.